Unlike the traditional Japanese Ju Jitsu belts, Brazilian Jiu Jitsu belts come in only five colours for the adults: White, Blue, Purple, Brown and Black (though some BJJ professors may attain a black and red, red and white or red belt as they progress through the degrees). The other difference in BJJ belts is that the belts have a black bar at one end of the belt, allowing for white ranking stripes to be added as the BJJ student progresses in the martial art. 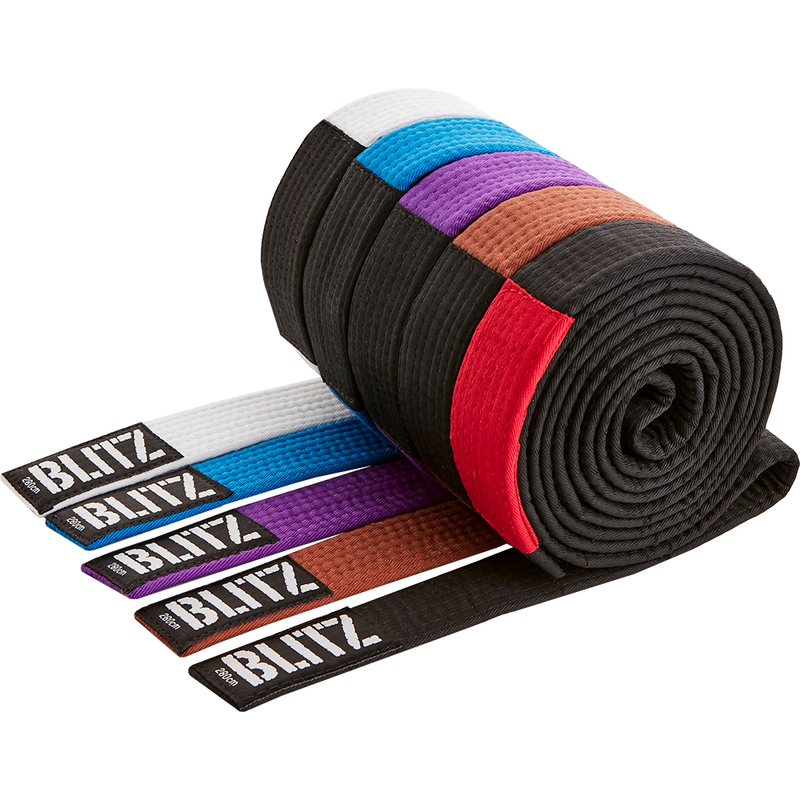 Where other martial arts have more belt colours and grade frequently (on average 3 times a year), Brazilian Jiu-Jitsu instructors award stripes to a students belt as he or she progresses, with a belt holding up to 4 stripes before a student is promoted to the next belt. It takes approximately 10 years to acheive black belt status in BJJ, so it isn't uncommon for a student to retain their colour of BJJ belt for approximately 2 years. In some Jiu Jitsu academies, extra colours are awarded to kids who train, like the traditional martial arts, and they are awarded more frequently than the adults as an extra incentive to keep up the hard work. Shop4 Martial Arts allows you to shop for BJJ belts in the UK by searching the UK's best martial arts stores for you.